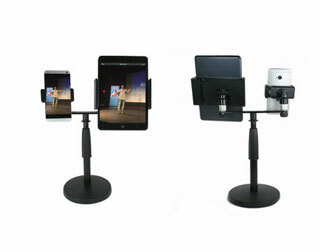 Livestream Suction Mount: lets you mount your smartphone to your tablet for dual streaming. Its suction pads hold up to 10lbs. 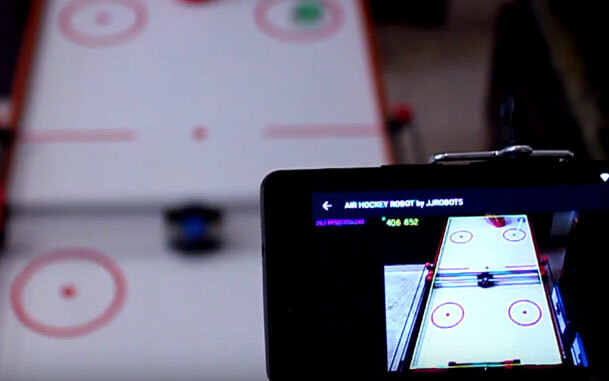 Arkon TW Broadcaster Pro: has dual magnetic mounts for side by side streaming on Facebook Like and other platforms. It is compatible with iPad mini and iPhone. 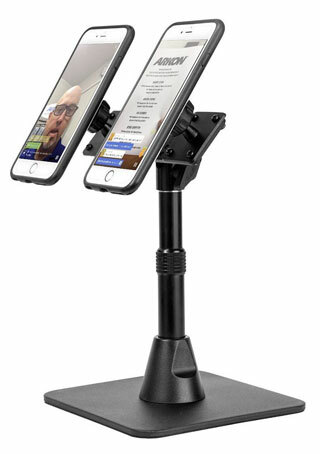 Desk Stand Dual Caster: lets you livestream with 2 phones or a phone or tablet. The height is fully adjustable. ZTYLUS GoMount Kit: an iPhone case that lets you mount your GoPro to capture video outdoors like a pro. You can use your phone in portrait or landscape mode. 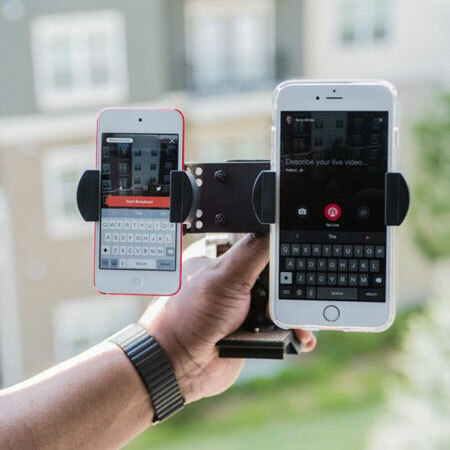 TW Broadcaster Pro: a side-by-side phone tripod for live streaming. The phone holders are compatible with protective cases. With its 1/4″-20 threaded bolt pattern, you can connect it to a video tripod easily. A wide variety of smartphones are supported. Have you found better dual live streaming gear? Please share them here.